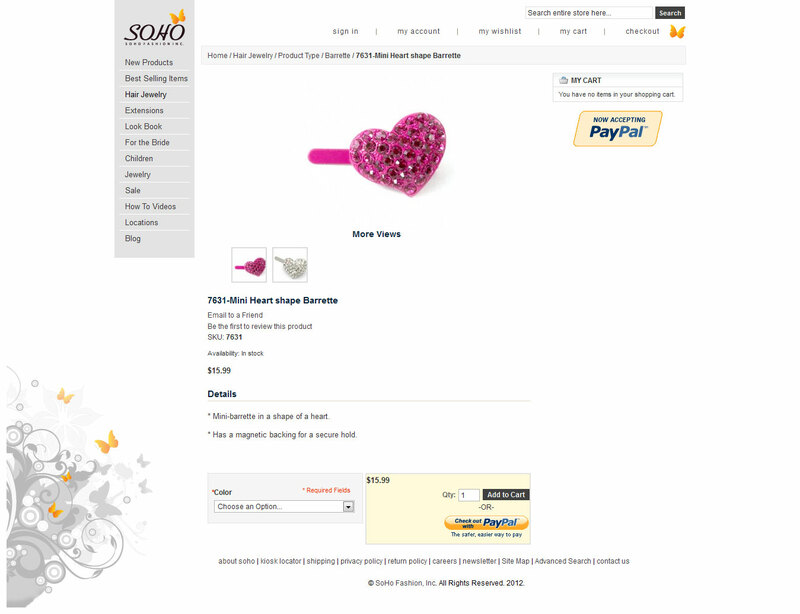 Soho Style sells jewelry and hair accessories for women and girls. It is an e-commerce site that runs on Magento. My main role for this site was updating content, mainly the slider images and installing and configuring extensions to add functionality to the site. I worked on this site whilst employed by a web design company.